That’s an important piece of information for a small business owner who doesn’t quite have a turnover in millions or even hundreds of thousands of dollars. SSDs are actually a much superior and more reliable medium of storing data as compared to any brand of regular hard disk drives. And even if you can’t afford a RAID array or an expensive server for storing and backing up your data, you can definitely save some money to buy yourself a high-capacity SSD. An SSD basically consists of microchips that contain data in an electronic form quite unlike your usual hard disk drives in which the data is read and written through a magnetic medium. SSDs are built using the same interface as hard disk drives, which makes them a perfect — although a more expensive — replacement. The main advantage this distinction affords is that the former doesn’t need a moving head to float over the physical disk area to read data. Therefore, the data can directly be read from any location on the SSD. This dramatically reduces the read/write time required, making data access a whole lot faster. As mentioned earlier, hard disk drives have moving parts, which makes them inherently susceptible to mechanical failure. Even if that failure doesn’t happen right away, you can be sure that it will happen some time in the future. On the other hand, SSDs do not have any such mechanical parts, which virtually eliminates the possibility of mechanical failure. Again, due to the lack of moving parts in them, SSDs are inherently more robust to physical shock. This might not be as much of an advantage as many HDDs today are manufactured to be quite sturdy too. 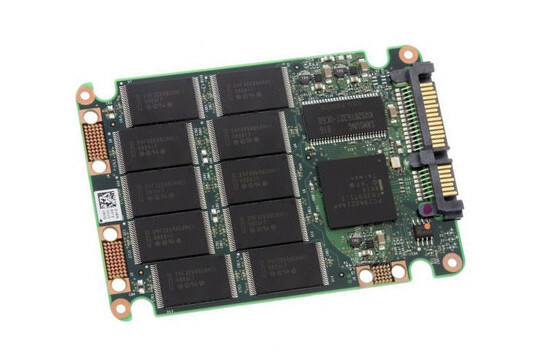 However, what makes SSDs special is that their sturdiness springs from their very design rather than clever housing as is the case with hard disk drives. Haven’t we all begun to consider disk defragmentation and formatting as a part of our lives? With SSDs, that would change, because they don’t really develop bad sectors on them against which defragmentation and formatting provide a protection. SSDs typically require half or less than half the power supply than what is required for hard disk drives to function. SSDs are much lighter than even the lightest of laptop HDDs due to the nature of their components. Not only are they lighter, but also do not make any sound. Sounds pretty incredible, doesn’t it? Knowing this, doesn’t it make you wonder why they aren’t the de-facto standard for data storage already? Well, to put it in layman’s terms, their time hasn’t come yet. Although the technology has seen a decline in the cost of these drives by 50% over the past two years while the capacity has doubled, they are still quite expensive and their storage capacities are still not on par with HDDs. To give you an example, a 256 GB SSD costs around $500 whereas a 1 TB HDD costs around $70. Moreover, although SSDs have become available in capacities up to 2 TB, it would be counterproductive to buy an SSD more than 256 GB in capacity — a 512 GB SSD would typically cost around $1400. Having said that, the trend already appears to be favorable for SSDs, and as soon as their price range drops below $100, they will eat up the market share (report here). Many notebook manufacturers have already begun to include SSDs in their high-end models, and as the price of these devices continues to drop, their adoption will continue to rise.